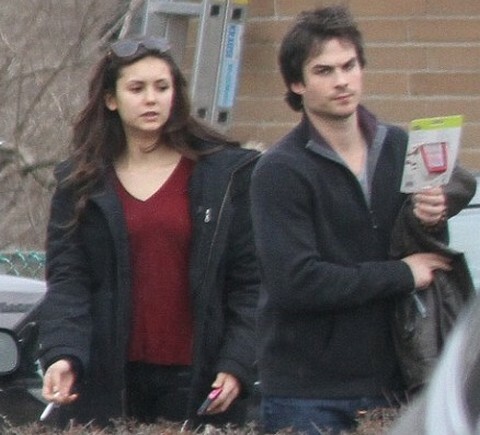 Nina Dobrev and Ian Somerhalder are broken up, the world is sad, etc. The Vampire Diaries fans seem to be taking this split a lot better than Twihards took the split of Robsten, probably because they are a lot saner. However, sources have been claiming that the lack of post-breakup drama is because Nina and Ian are both trying to avoid a confrontation. An ugly confrontation would undoubtedly make things more awkward and uncomfortable for everybody, especially considering that things are guaranteed to be pretty weird on the set of The Vampire Diaries in Atlanta. Nina and Ian have also been tweeting very cryptically over the last few weeks, with Ian tweeting about moving on, and Nina ignoring the issue completely. They seem to be going through the regular phase of trying to move on from someone you saw every day for a few years, and it’s going to be doubly uncomfortable for them to have to do that in front of the whole world. I give them props for it – they’re not having their respective teams throw the other person under the bus via leaked reports to tabloids [*cough* Liam Hemsworth *cough*]. They’re staying mature, and sure, Ian’s already seems to be moving on, but hey – at least he’s not blaming the cause of the breakup on Nina’s ‘moody behavior’ [*cough* Robert Pattinson *cough*]. It will be interesting to see what happens, and whether we find out more about the cause of their breakup. 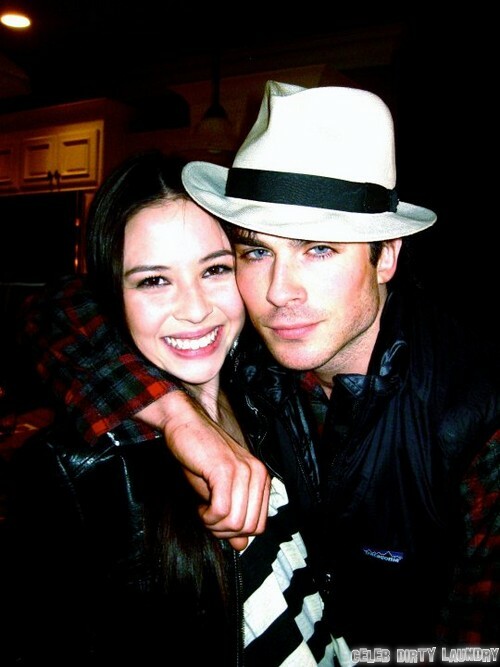 There have been rumors that Ian has been seeing co-star Malese Jow. There is always the chance that Nina and Ian get back together when they’re put back in close proximity, but if whatever broke them up is more permanent, let’s hope that it doesn’t affect their professional and working relationship. Let us know what you think in the comments. Ian Somerhalder and Paul Wesley Attend 2013 BloodyCon WITHOUT Nina Dobrev!